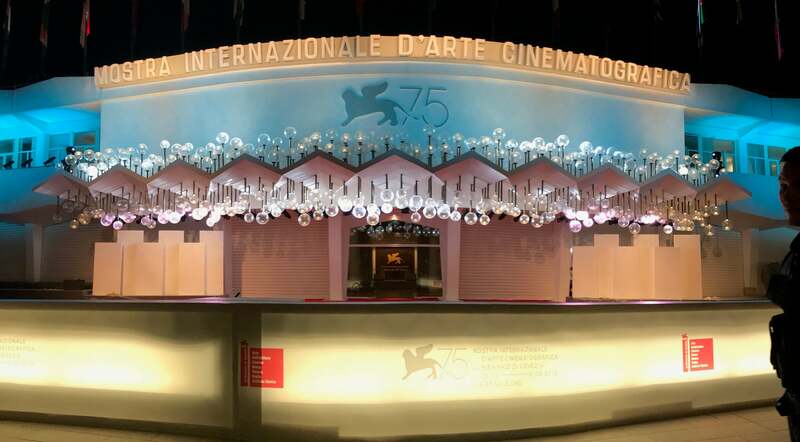 The 75th edition of the Venice Film Festival starts on Wednesday, August 29th, on another planet. The moon, to be precise, when Damien Chazelle returns to the Lido to open the fest with First Man, covering the defining years in the life of Neil Armstrong. The film stars Ryan Gosling, who obviously so enjoyed working with his director on La La Land that he came back for this outer space adventure. There’s also Claire Foy playing his wife, Corey Stoll as Buzz Aldrin and Ciaran Hinds as Gene Kranz. The star power won’t let up in the following days with the festival profiting from a certain streamer who pulled out of Cannes and now has three films showing here: The Ballad of Buster Scruggs from the Coen Bros., Paul Greengrass’ re-creation of the terror attack in Norway, 22 July, and Alfonso Cuaron’s Roma. All eyes are on this film since the president of the jury, Guillermo del Toro, is best friends with Cuaron. The paparazzi will go absolutely gaga over Gaga on Friday when the Lady arrives for the world premiere of Bradley Cooper’s directorial debut A Star Is Born. In this second remake, Miss Stefani Germanotta (her real name) has big shoes to fill – those of her predecessors in that role, Judy Garland, and Barbra Streisand. If she is a pop star playing an actress, Natalie Portman does the opposite in Vox Lux, also starring Jude Law, when that film is shown next week. Rachel Weisz, Olivia Coleman, and Emma Stone can be seen in Yorgos Lanthimos’ historical farce The Favourite, and Italy’s most famous director of the moment, Luca Guadagnino, shows his high-intensity horror thriller Suspiria on his home turf. Actresses Dakota Johnson, Tilda Swinton, Mia Goth and Chloe Grace Moretz will all be on the Lido to support their film. Other return participants of the festival include Mike Leigh with Peterloo, Olivier Assayas with Doubles Vies, Morgan Neville with They’ll Love Me When I’m Dead, Julian Schnabel with the Willem Dafoe-starrer At Eternity’s Gate, Amos Gitai with A Tramway in Jerusalem, Rahmin Bahrani with Blood Kin and Valeria Bruni Tedeschi with Les Estivants. 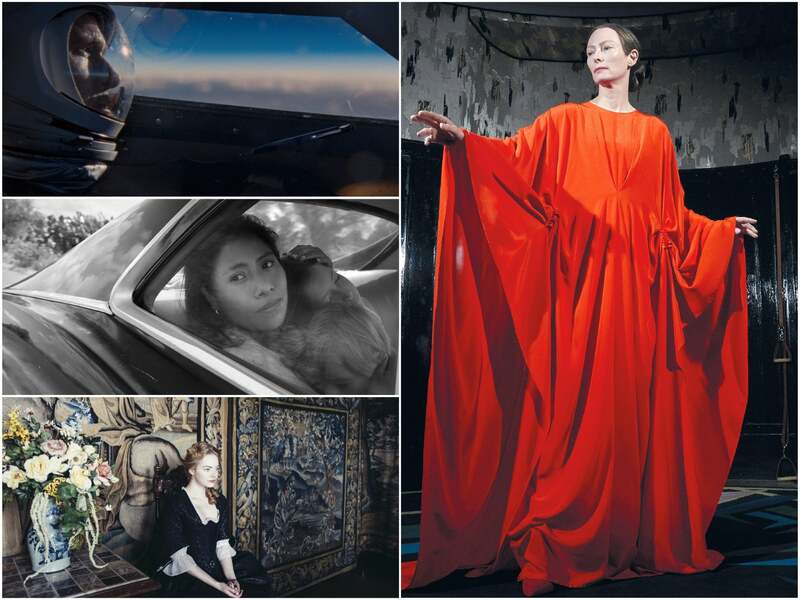 Venice, vintage 2018 : (clockwise from top left)- First Man, Suspiria, The Favourite, Roma. Eagerly anticipated is Bruce Weber documentary Nice Girls Don’t Stay for Breakfast, a celebration of the infamous life of Hollywood bad boy Robert Mitchum, and Roberto Minervini’s What You Gonna Do When The World’s On Fire, a doc on the story of a community of black people in the American South during the summer of 2017, when a string of brutal killings of black men sent shockwaves throughout the country. Venice has proven to be a good omen for Hollywood movies in the past seven years, with three world premieres going on to win Oscars and even more films winning or being nominated for Golden Globes. So, it is no surprise that this year the festival committee had to turn away some submitted films for simple lack of space - Barry Jenkins’ If Beale Street Could Talk and Felix von Groenigen’s Beautiful Boy among them. As festival director and veteran Alberto Barbera said: “When you have excellent movies, it’s difficult to say, ‘I’m sorry, you should skip Venice this year because we have too many movies. '” Another one that got away because it wasn’t ready despite being a favorite among the programmers was Harmony Korine’s The Beach Bum, with a performance by Matthew McConaughey that is said to create awards buzz already. Venice is not famous for its raging party scene the way Cannes or Berlin are, but the opening night may prove to be one to remember as will Friday’s joint event between the festival and the HFPA: together we are celebrating 150 years of movies. And not to leave aside the fact that Italy is a country of fashion, Vogue will honor Salma Hayek with the Franca Sozzani Award. James Cameron Shows his Inner Geek in "Story of Sci-Fi"